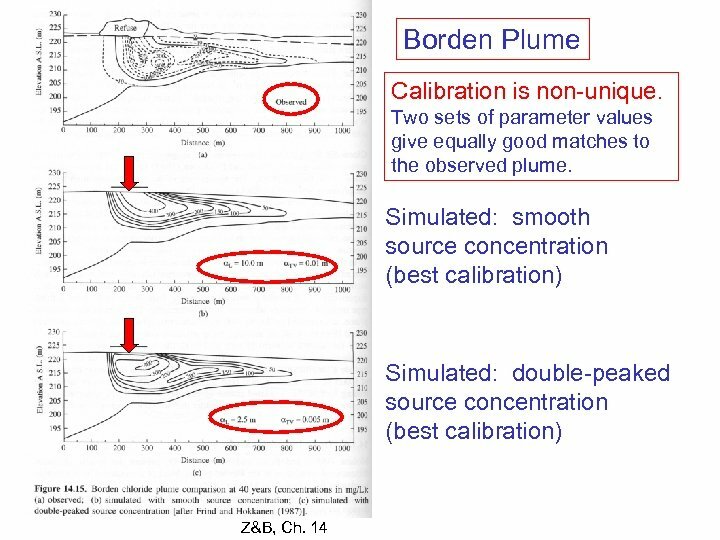 In a traditional sensitivity analysis, sensitive parameters are varied within some range of the calibrated value. 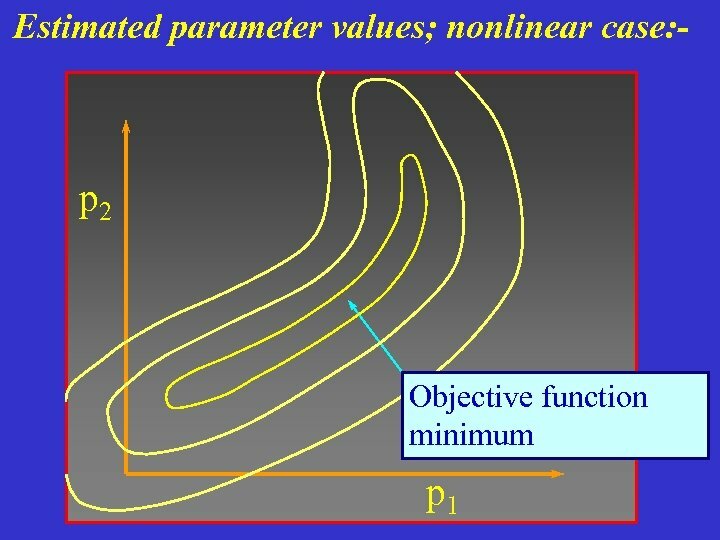 The model is run using these extreme values of the sensitive parameter while holding the other parameters constant at their calibrated values. 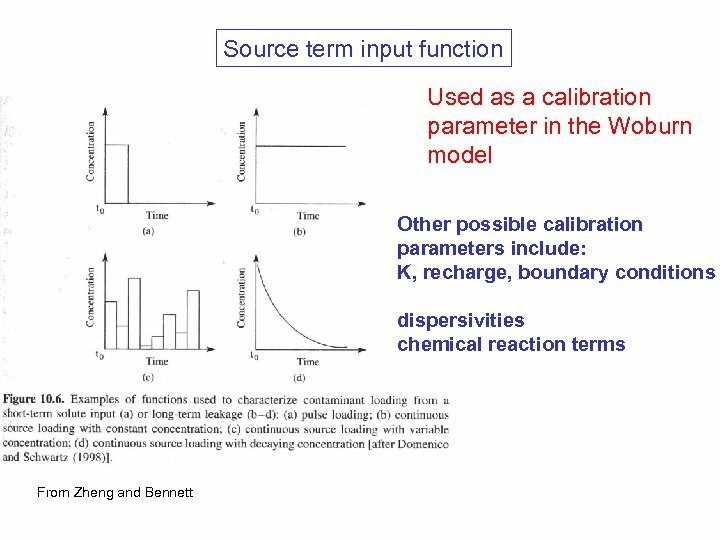 The effect of variation (uncertainty) in the sensitive parameter on model results Is evaluated. 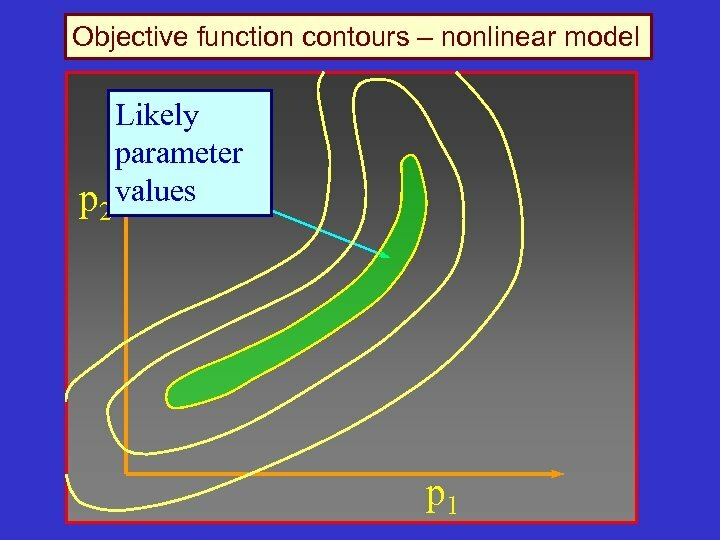 A sensitivity analysis is meant to address uncertainty in parameter values. 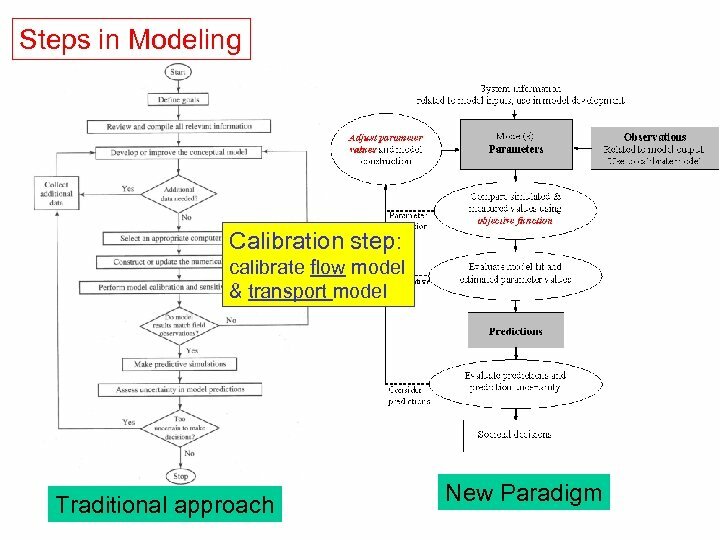 Problems with this approach: The model goes out of calibration. 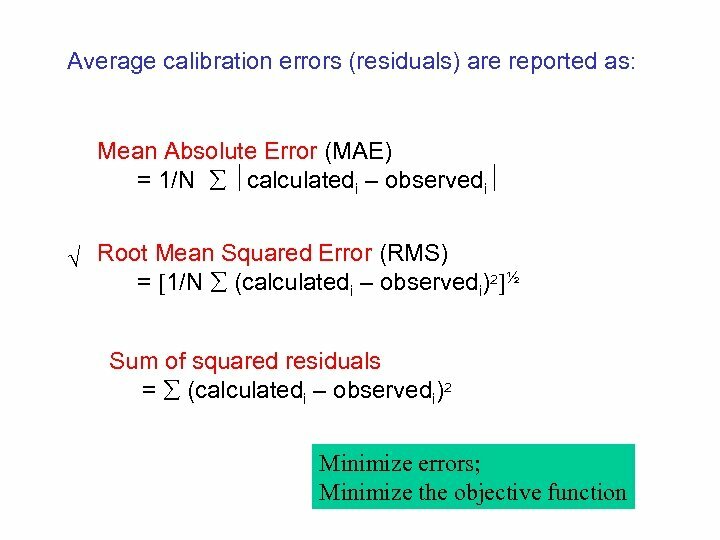 The results of the sensitivity runs represent unreasonable scenarios. 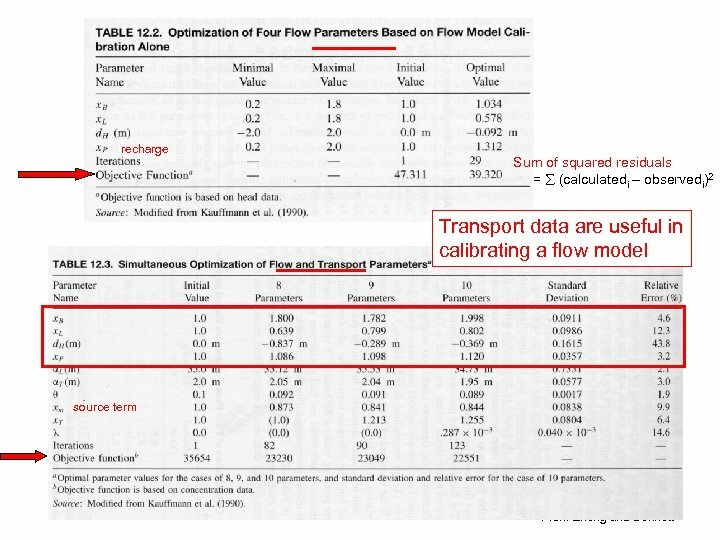 Calibration of a flow model is relatively straightforward: • Match model results to an observed steady state flow field • If possible, verify with a transient calibration Calibration to flow is non-unique. 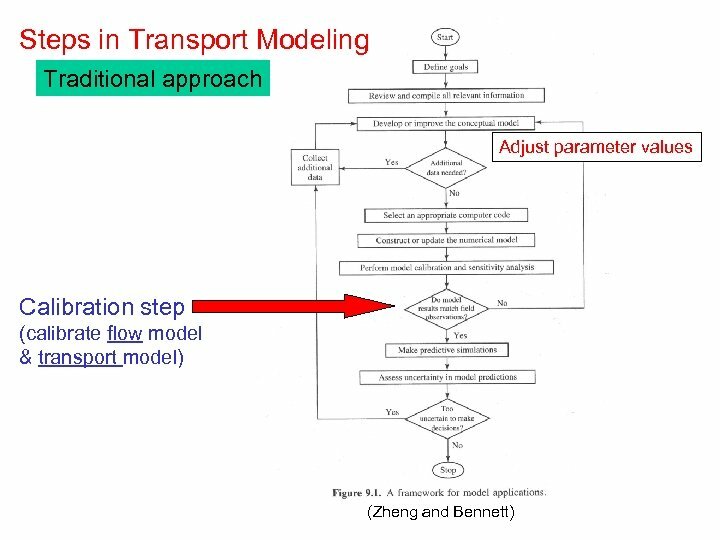 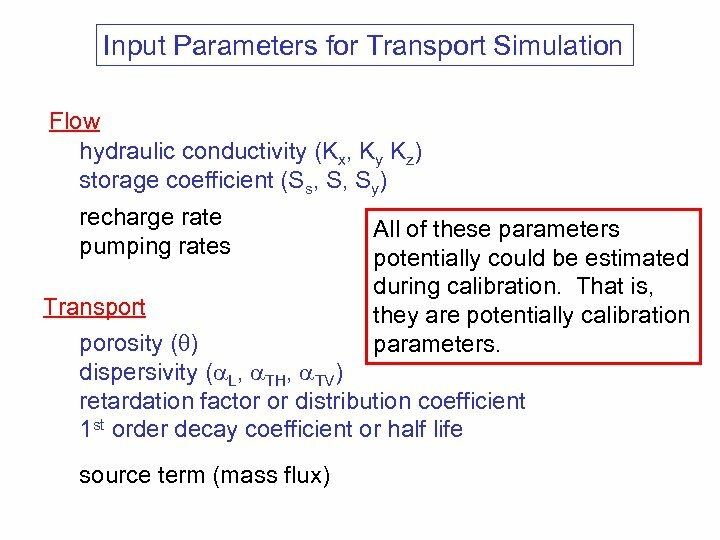 Calibration of a transport model is more difficult: • There are more potential calibration parameters • There is greater potential for numerical error in the solution • The measured concentration data needed for calibration may be sparse or non-existent Transport calibrations are non-unique. 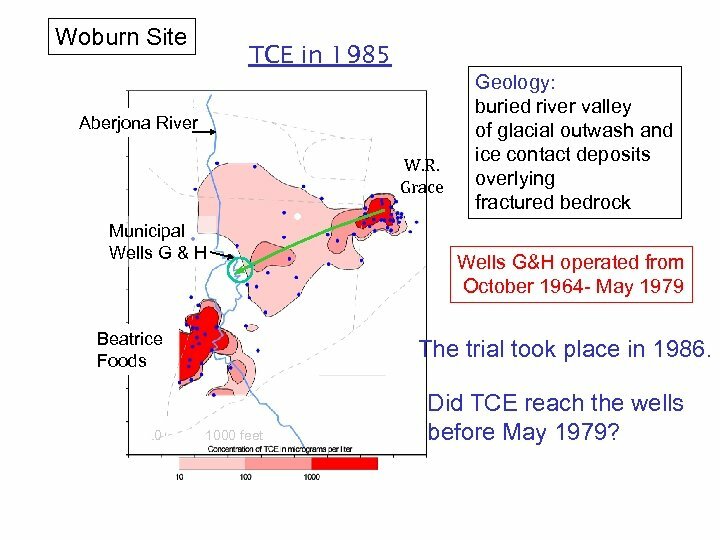 Woburn Site TCE in 1985 Aberjona River W. R. Grace Municipal Wells G & H Beatrice Foods 0 • Geology: buried river valley of glacial outwash and ice contact deposits overlying fractured bedrock Wells G&H operated from October 1964 - May 1979 The trial took place in 1986. 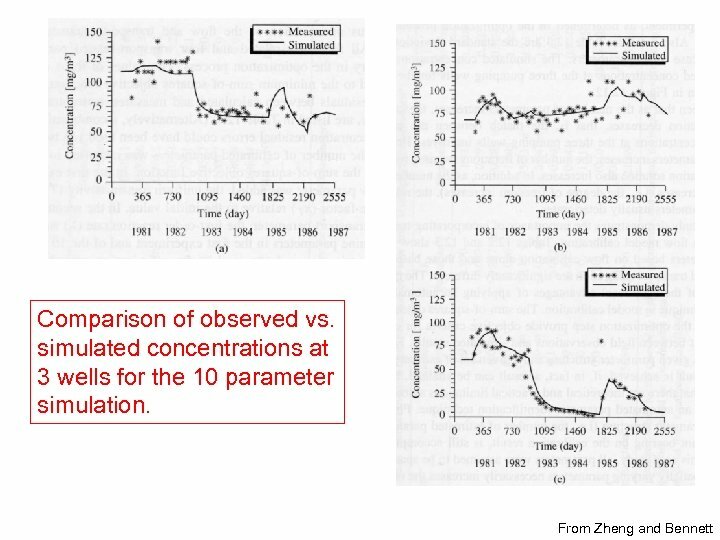 1000 feet Did TCE reach the wells before May 1979? 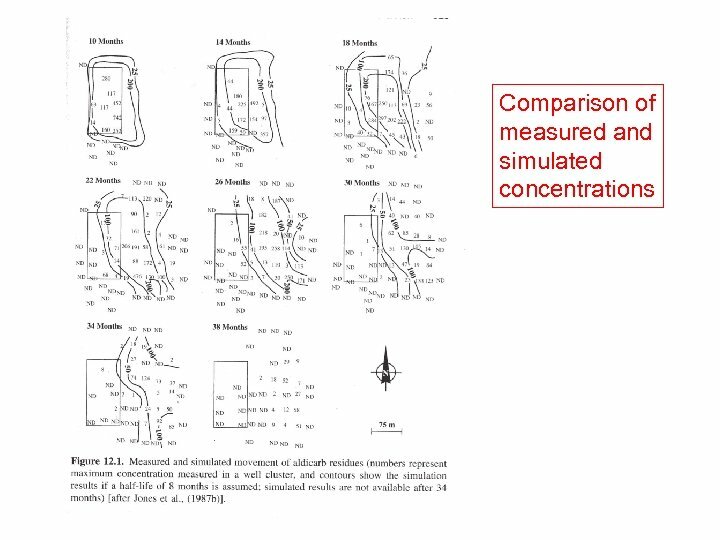 Woburn Model: Design MODFLOW, MT 3 D, and GWV 6 layers, 93 rows, 107 columns (30, 111 active cells) Simulation from Jan. 1960 to Dec. 1985 using 55 stress periods (to account for changes in pumping and recharge owing to changes in precipitation and land use) Wells operated from October 1964 - May 1979 Five sources of TCE were included in the model: • New England Plastics • Wildwood Conservation Trust (Riley Tannery/Beatrice Foods) • Olympia Nominee Trust (Hemingway Trucking) • Uni. 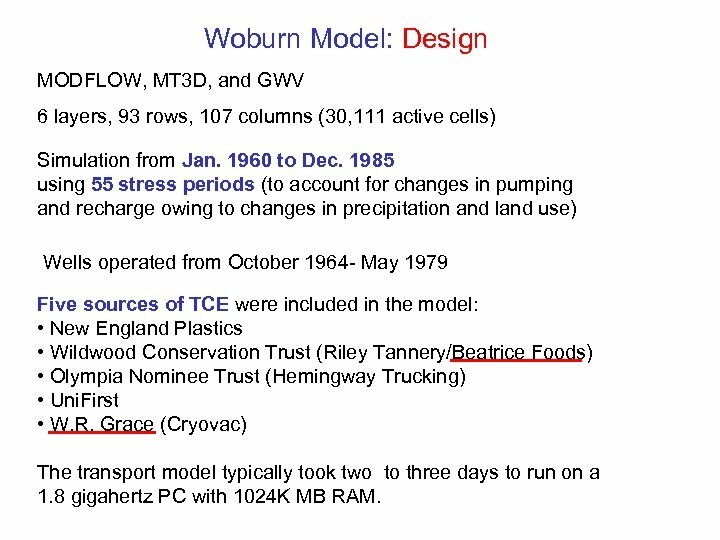 First • W. R. Grace (Cryovac) The transport model typically took two to three days to run on a 1. 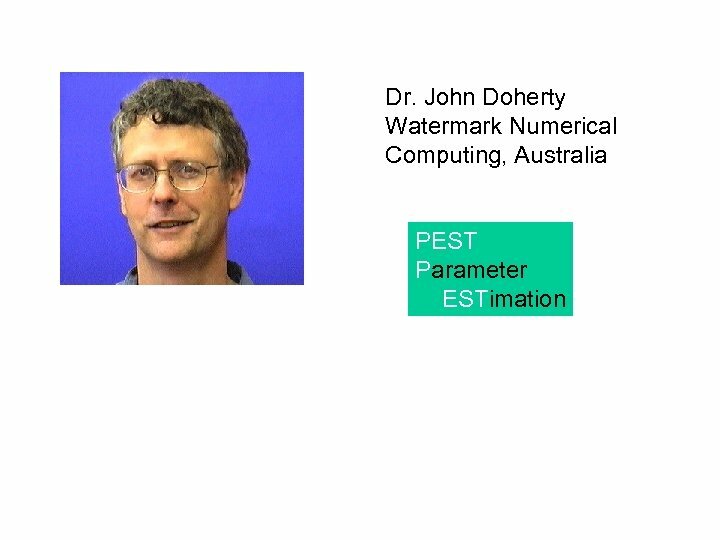 8 gigahertz PC with 1024 K MB RAM. 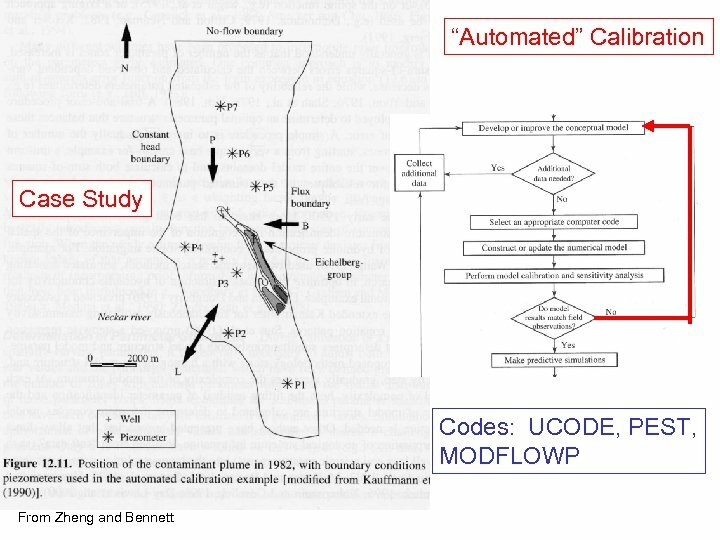 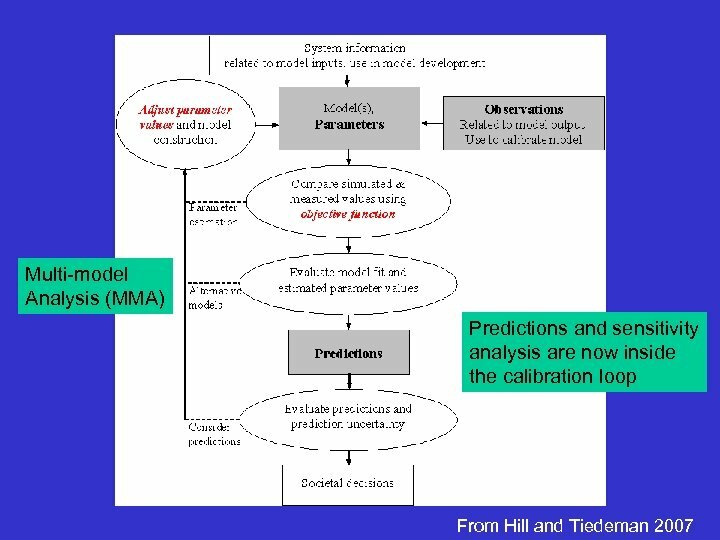 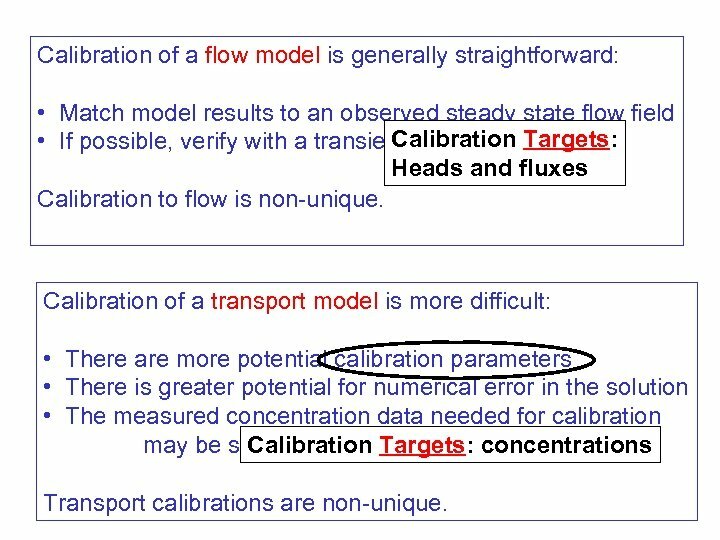 Calibration of a flow model is generally straightforward: • Match model results to an observed steady state flow field Calibration • If possible, verify with a transient calibration Targets: Heads and fluxes Calibration to flow is non-unique. 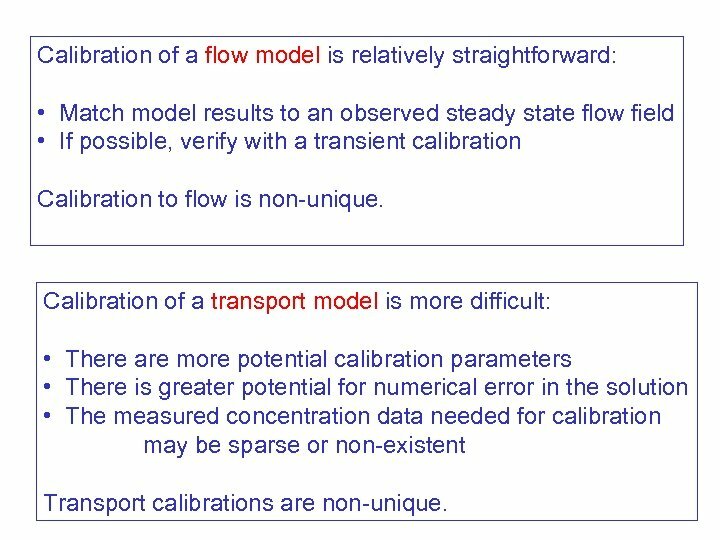 Calibration of a transport model is more difficult: • There are more potential calibration parameters • There is greater potential for numerical error in the solution • The measured concentration data needed for calibration Calibration Targets: may be sparse or non-existent concentrations Transport calibrations are non-unique. 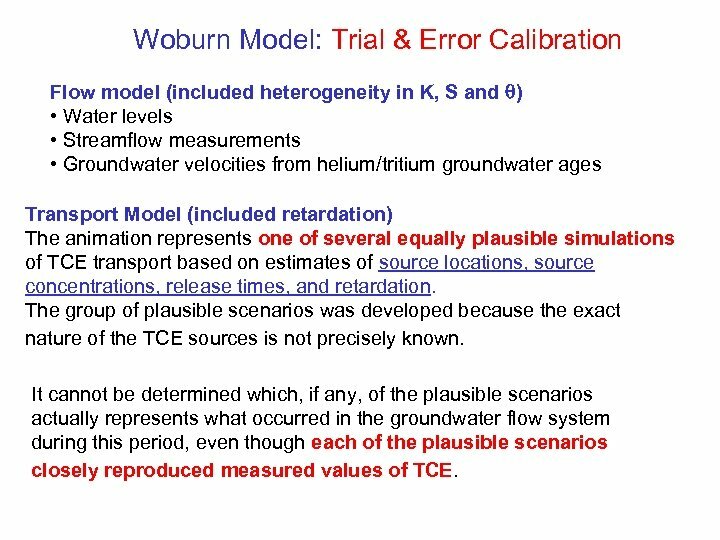 Woburn Model: Trial & Error Calibration Flow model (included heterogeneity in K, S and ) • Water levels • Streamflow measurements • Groundwater velocities from helium/tritium groundwater ages Transport Model (included retardation) The animation represents one of several equally plausible simulations of TCE transport based on estimates of source locations, source concentrations, release times, and retardation. 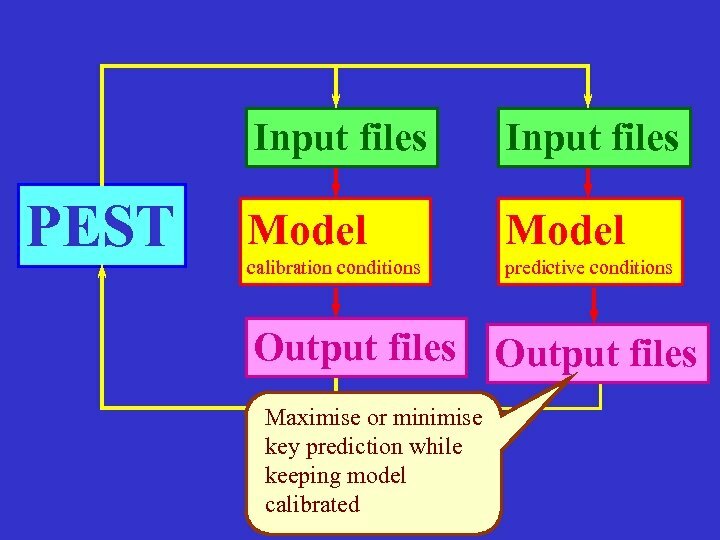 The group of plausible scenarios was developed because the exact nature of the TCE sources is not precisely known. 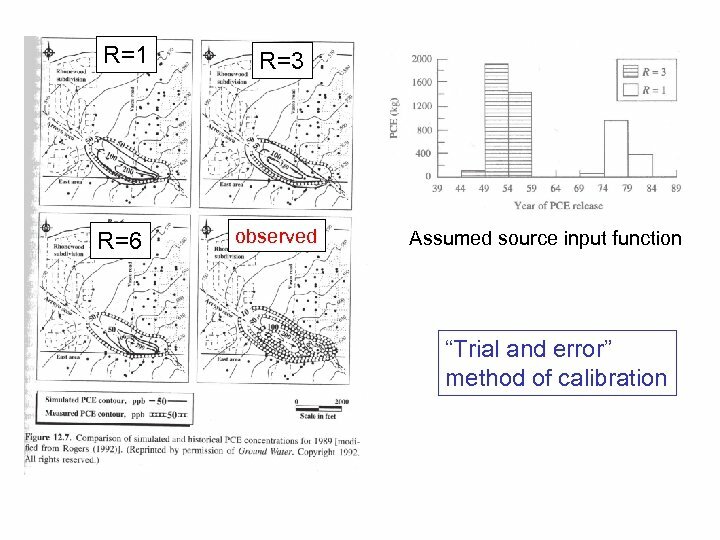 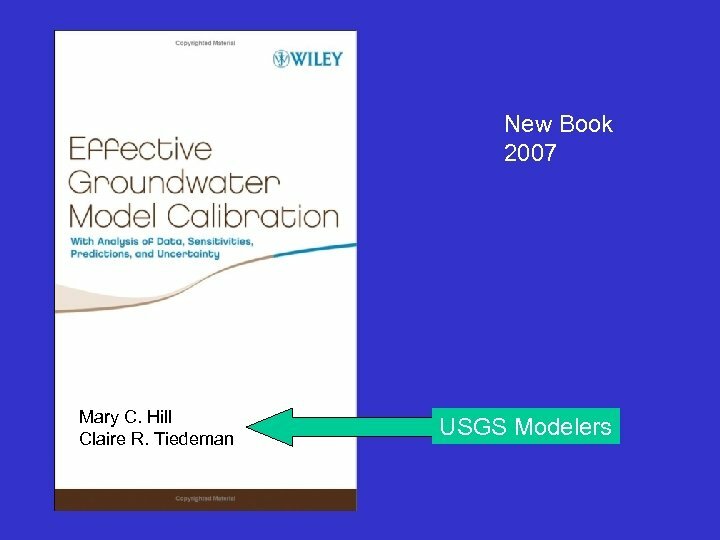 It cannot be determined which, if any, of the plausible scenarios actually represents what occurred in the groundwater flow system during this period, even though each of the plausible scenarios closely reproduced measured values of TCE.